Resource Centre > Uncategorized > Promising Practices: What Works? string(1047) "Resource Centre > Uncategorized > Promising Practices: What Works?" Evaluation of projects and interventions designed to prevent or address the harm connected with modern slavery is a critical step on the road toward identifying “what works”. Reviews of evaluations already undertaken offer an opportunity to take stock of the state of the evaluation field – what has been evaluated and what has not – but also to identify and examine results emerging from existing evaluation work. From these evaluations we are able to better understand what has already been tried and tested and shown to be effective or ineffective, what we do not know, and what remains unclear. 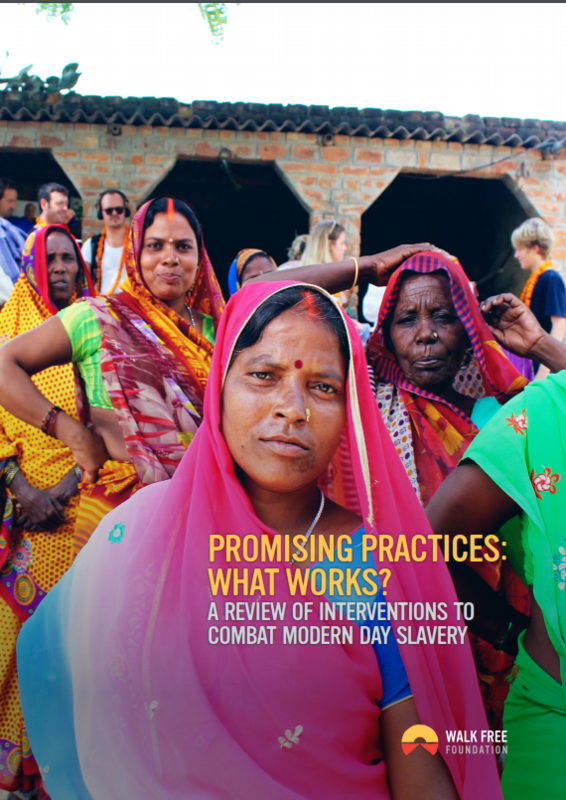 The Promising Practices Database, created by the Walk Free Foundation, collates impact and programmatic evaluations of anti-slavery and counter trafficking programming. Each evaluation is categorized by country, region, type of modern slavery, and impact of the evaluation. The Database was developed so that project developers, researchers, and academics could quickly identify relevant evaluation work that had already been completed, but also seek to better understand what works – and what does not— through a simple search by country, target population, type or sector of slavery, or type of intervention. This 2019 Annual Progress Report outlines Apple's efforts in 2018.